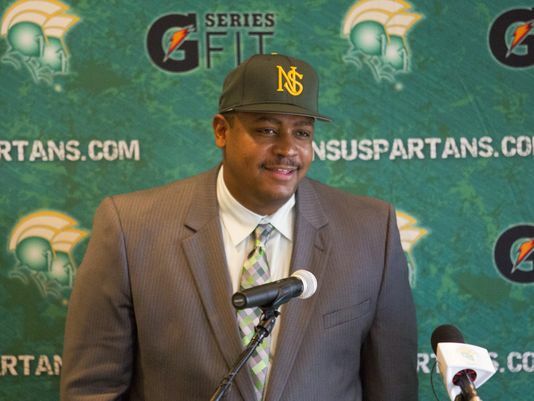 Latrell Scott was named the 17th head football coach in Norfolk State history on Dec. 16, 2014. Scott comes to NSU following an outstanding two-year run as head coach at Virginia State University. Scott directed the Trojans to a 19-4 record and two Central Intercollegiate Athletic Association (CIAA) Northern Division regular-season titles in his two seasons in Petersburg. The Trojans never lost to a CIAA team under Scott’s direction, going a combined 15-0.